Filled with timeless wisdom and practical guidance, Cicero's brief, charming classic - written in 44 BC and originally titled On Old Age - has delighted and inspired audiences, from Saint Augustine to Thomas Jefferson, for more than 2,000 years. Presented here in a lively new translation with an informative new introduction, the book directly addresses the greatest fears of growing older and persuasively argues why these worries are greatly exaggerated - or altogether mistaken. 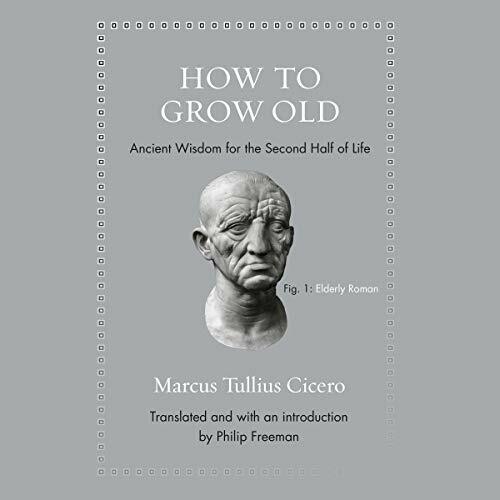 Montaigne said Cicero's book "gives one an appetite for growing old." The American founding father John Adams read it repeatedly in his later years. And today its lessons are more relevant than ever in a world obsessed with the futile pursuit of youth. Overall I thoroughly enjoyed this short book. Ancient wisdom! Narrator - Why not read in your natural accent - I thought I was watching Game of Thrones or visiting a Renaissance fair. Good voice, but meandering accent. I am currently 33 years old but it's good to start thinking about how old age effects the way you think and live your life. This book is a gem. Some positive and practical advice on aging read by a narrator with a great voice. Growing Old He Says Is A Good Thing. Many of us naturally know and agree with much of what is said here. Yet I found it helpful to hear his arguments against our culture that downplays the value of growing old. This old text is proof of its own point.